It has long been established that we do not need wisdom teeth. The American Association of Oral and Maxillofacial Surgeons (AAOMS) informs that in a remarkable majority that reaches almost 85 percent, these molars that come third in line, will probably have to be removed at some point. The main reason why you will need to remove your wisdom teeth is because it will start getting too crowded in your mouth, causing you problems of various natures. 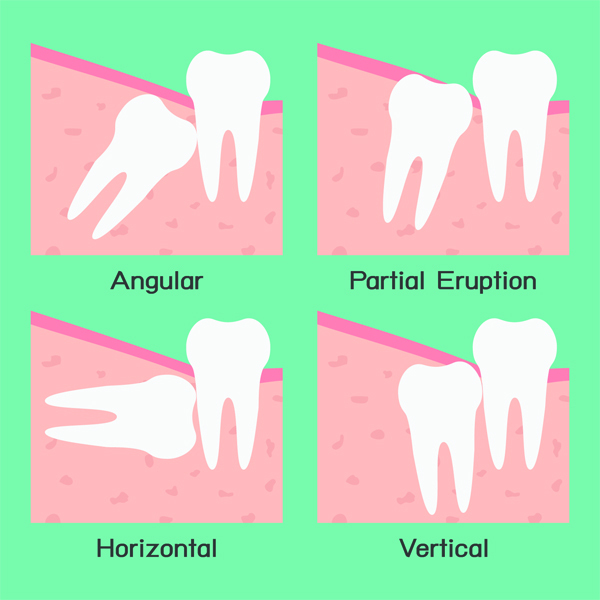 Impacted wisdom teeth, meaning teeth that are trapped in your gums, can become the source of much dental problems and pain. Tooth crowding might make you suffer from an oral infection, and even ruin your teeth alignment. Imagine having straight teeth and a beautiful smile, and ending up with crooked teeth, because you had impacted wisdom teeth! Only considering the discomfort, and the trouble you could get into from teeth misalignment (not to mention the extra cost so to get your teeth fixed and straight again), it becomes obvious that impacted wisdom teeth should definitely be removed. However, there are cases when wisdom teeth may not be removed, especially when they are healthy and fully erupted (their growth is complete). Furthermore, if they are in the right position, biting with the opposite teeth is properly done, and can be properly cleaned, then they have certainly earned their place in your mouth! Wisdom teeth are the teeth you can see at the back of your mouth, or, in other words, your third molars. When there is no room for them to grow as supposed, they could erupt at various angles in the jaw; even horizontally. When this happens, there comes trouble. They could also partially emerge through the gums and create a passageway, or never erupt at all and become impacted (trapped) in your mouth. Either way, problems arise. In addition, mainly due to the difficulty to reach, this area is usually not properly cleaned, and bacteria pool causing oral infections and gum disease. Unremoved impacted wisdom teeth can cause significant complications. For instance, other than teeth and gum infections, you could also develop periodontal cysts that may damage both your jawbone and teeth alignment. Additionally, you may experience chronic discomfort in the mouth and have plaque problems. That being said; wisdom tooth removal is considered effective if you want to prevent back teeth crowding, impacted wisdom teeth, and problems with your gums, including pain, swelling, and redness. Finally, wisdom teeth removal acts preventively in wisdom tooth decay and gum disease, given that this area is more difficult to clean, compared to other teeth. Nevertheless, whether you will eventually need to remove your wisdom teeth or not is a decision that you should discuss with an oral surgeon or your dentist, who will be responsible for determining the health of your wisdom teeth and if any action is required. If you are wondering who to trust for a matter with such significance to your health, ALKALI DENTAL STUDIOS, in Putney, London will make dental care easy and affordable for you. The next step should be to book either an emergency appointment if you are in pain or a dental examination so the dentist can let you know what would be the best solution for you.